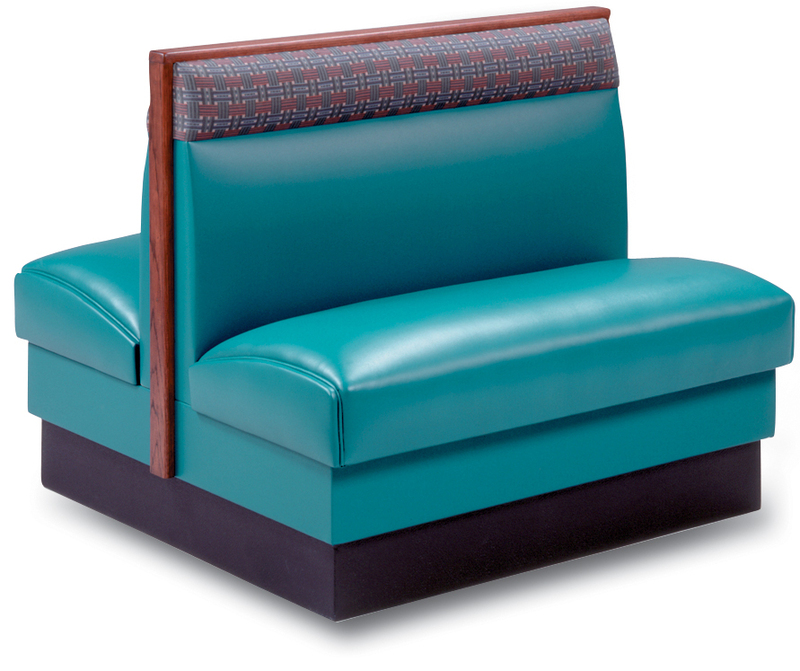 GV-1 & GV-3 - New Retro Dining Gravois Series Booth. 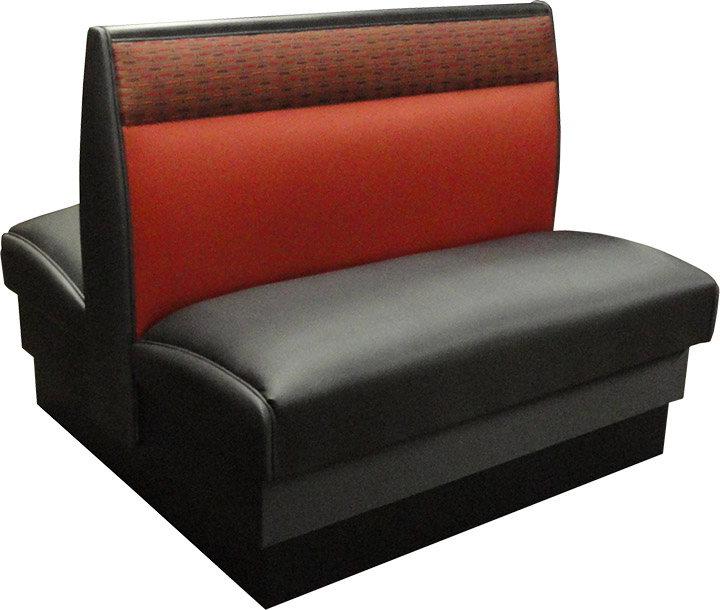 Gravois Series Booth - The GV-1, on the left, is a fully upholstered booth with an 18" seat height, featuring a standard horizontal headroll atop a smooth, lower inside back and a 36" overall height. The GV-3, on the right, adds a solid red oak top cap and end panels (shown with optional 2 & 3 color upholstery). A modern design with a two layered baseboard. 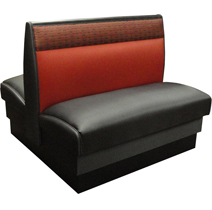 Modular construction allows easy replacement of end caps, seats and backs. The lower baseboard is solid pine board covered with heavy duty, scuff resistant vinyl as a standard or laminated as an option. 1/4 Circle $2,051.21 $2,113.31 $2,177.58 $2,244.10 $2,312.96 $2,521.13 210 lbs. 44" x 44"
1/2 Circle $3,880.67 $3,997.10 $4,117.61 $4,242.33 $4,371.41 $4,764.84 410 lbs. 44" x 84" x 44"
3/4 Circle $5,710.13 $5,880.90 $6,057.63 $6,240.55 $6,429.98 $7,008.68 575 lbs. 44" x 84" x 84" x 44"
1/4 Circle $2,288.66 $2,350.74 $2,415.01 $2,481.53 $2,550.38 $2,779.92 210 lbs. 44" x 44"
1/2 Circle $4,325.87 $4,442.29 $4,562.80 $4,687.51 $4,816.59 $5,250.09 410 lbs. 44" x 84" x 44"
3/4 Circle $6,363.06 $6,533.83 $6,710.56 $6,896.64 $7,082.81 $7,720.27 575 lbs. 44" x 84" x 84" x 44"